Tips to prevent osteoporosis and to reduce the likelihood of a bone fracture. 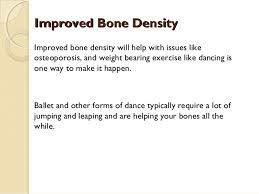 Take plenty of exercise, because that promotes bone formation. Especially walking and jogging keeps bones fit, because then the body weight presses on the bones. This applies to many sports or exercises in which you assume a vertical posture and so should carry your own weight: tennis, dancing, jumping rope. Swimming in itself is a healthy form of exercise and great for your overall sense of well-being, but it does little for your bones. Maintain a healthy diet with about four servings of dairy per day. A portion of dairy corresponds to a glass (150 ml) milk, buttermilk, yoghurt, quark or custard, or a slice of cheese of 20 grams. Dairy products contain both calcium and vitamin D. The latter ensures that your body absorbs calcium from your food better. Both smoking and excess alcohol can promote bone loss. So try not to smoke and limit alcohol consumption to the absolute maximum of two drinks per day.